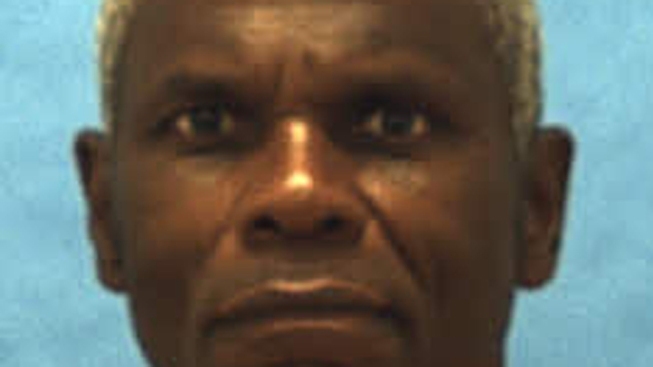 John Errol Ferguson, 65, died at 6:17 p.m., following a lethal injection. A man convicted of murdering eight people in Miami-Dade County in the late 1970s was executed Monday night at the Florida State Prison, despite his lawyers' pleas that he was too mentally ill to be put to death. Ferguson and two others were convicted of murdering six people in 1977 during a robbery at a Carol City house used by marijuana dealers. Ferguson dressed as a utility worker to gain access and let his accomplices inside. Most of the victims were friends who happened to drop by the house while Ferguson and the other men were there. The victims were blindfolded and bound, and the encounter turned violent after a mask fell off one of Ferguson's gang members and his face was spotted by a victim. The decision was made to kill all eight people in the house. Two survived. At the time, it was the worst mass slaying ever in Miami-Dade County. The randomness of the crime and the youth of the two victims stunned many in Miami. Ferguson confessed to killing "the two kids" after he was arrested in April 1978 for the earlier killings, court records show. Worley's mother, Edna Worley, waited for decades for Ferguson's execution but died last year. Ferguson was sentenced to die in both cases; he unsuccessfully used the insanity defense in the trial over the teenagers' murders. The issue of Ferguson's mental stability was a current that ran through his life, and his execution came after months of court appeals. Ferguson's lawyers said their client had a long history of mental illness. The attorneys appealed his case to the U.S. Supreme Court, saying that Ferguson lacked "rational understanding" that he will be executed and that killing him would "cruel and unusual punishment," violating the Eighth Amendment. Christopher Handman, Ferguson's lead attorney, said his client's mental illness manifested itself long before the slayings. Ferguson's alcoholic father died when Ferguson was 13, and that's when he started experiencing hallucinations, family members told the attorney. Ferguson also experienced abuse by his mother's boyfriends, then was abandoned by his mom and raised by his sisters in a vermin-infested shack in Miami-Dade County. But he was released and, months later, committed the Carol City murders. Christopher Handman, an attorney for Ferguson, said Monday in a statement that he was disappointed in the Supreme Court's decision, denying his client a stay of execution. "Mr. Ferguson is insane and incompetent for execution by any measure," Handman said. "He has a fixed delusion that he is the 'Prince of God' who cannot be killed and will rise up after his execution to fight alongside Jesus and save America from a communist plot. He has no rational understanding of the reason for his execution or the effect the death penalty will have upon him.